The Healthy Start Coalition of Miami-Dade, Inc. was incorporated on April 1, 2001 and serves as part of a statewide network of community-based organizations to reduce Florida’s high infant mortality and improve the lives of pregnant women and their families. The Coalition is responsible for the establishment and oversight of the Miami-Dade Healthy Start system, which includes directing local, state and federal funding and provides oversight to local community organizations that deliver direct services to pregnant women and families of newborns, continuous care coordination to pregnant women and children birth to age three, evaluating services and the needs of the community, and quality assurance and improvement responsibilities. At the Coalition, we promote that every baby gets a Healthy Start in life! The success of Healthy Start is dependent on it’s many volunteers, team members and most importantly, it’s advocates for the services provided to the pregnant women, father’s and family members who want their baby to have a Healthy Start in life! Advocates provide a voice to those who need to hear loud and clear the positive work being done by Healthy Start. In this section you will find information that will assist you when speaking about the Healthy Start program. Please let us know if you have an encounter with a media representative or policy maker so we can provide appropriate follow-up as needed. Your willingness to advocate on behalf of our most vulnerable residents is commendable and looked upon highly by our local legislators and constituents. Thank you. The Healthy Start Coalition of Miami-Dade Board of Directors comprise of individuals who are dedicated to their community and have a passion for ensuring that every baby gets a Healthy Start in life. Membership reflects a diverse group of individuals in various disciplines and organizations. All members are volunteers and take time out of their day to meet and review all programmatic and financial responsibilities of the Coalition and govern the direction of the Coalition. In addition, the Board of Directors ensures there is transparency by the Coalition and that proper rules and regulations as defined within the By-Laws and as dictated by both State and Federal laws that govern non-profit organizations. The Board of Directors serve as champions in the community for the Coalition’s overall goals and mission and help promote it’s services to the community at large. The Board of Directors meet on a bi-monthly basis and hold other meetings (i.e. Executive Committee, etc.) as needed as well. If you would like to become a Board Member, please feel free to contact the Coalition via our Contact Us Page by clicking here. All Board of Directors Meetings are open to the general public. If you are interested in attending an upcoming meeting, we encourage you to please visit our Events page by clicking here or pressing Events at the top of the page and look for “Community Notification Meetings”. Board Minutes are available upon request. If you would like to receive a copy of a previous board meeting, you may submit your request to hscmdadmin@hscmd.org. The Healthy Start Coalition of Miami-Dade is a not-for-profit 501(c)(3) with the goal of reducing infant mortality, reducing the number of low birth weight babies & improving maternal, infant and child health and developmental outcomes. We seek business and social service professionals who want to grow with us and make a difference in the lives of families and children in our community. The Coalition’s office is located in Miami, Florida. We offer industry competitive salaries and an outstanding benefits package. This position is primarily responsible for managing the daily operations of the Healthy Start Coalition of Miami-Dade’s program and supporting affiliated programs. This position supervises direct service providers, manages fiscal and resource allocations and ensures the successful implementation of the Healthy Start Prenatal and Postnatal screening by building relationships with local physicians, hospitals and community partners. The Program Manager coordinates the service delivery model to ensure that participants needs, program goals, and contract objectives are being effectively met. Requirements: Bachelor’s Degree, Master’s degree preferred from an accredited college or university in social services, healthcare or related field. A minimum of two (2) years experience in a related field. Local travel may be required. Excellent communication skills. And send to infojobs@hscmd.org or fax to 305-541-0213 – ATTN: Human Resources. Please put the position title (i.e., ADMINISTRATIVE ASSISTANT) in the subject line of any electronic submission. The Healthy Start Coalition of Miami-Dade (HSCMD) is an equal opportunity employer. HSCMD offers great benefits and competitive salary. The Healthy Start Coalition of Miami-Dade is a drug-free/smoke-free workplace. *If no positions are listed, there are no current open positions. Opportunities can arise quickly based on the needs of the community so please check back periodically. 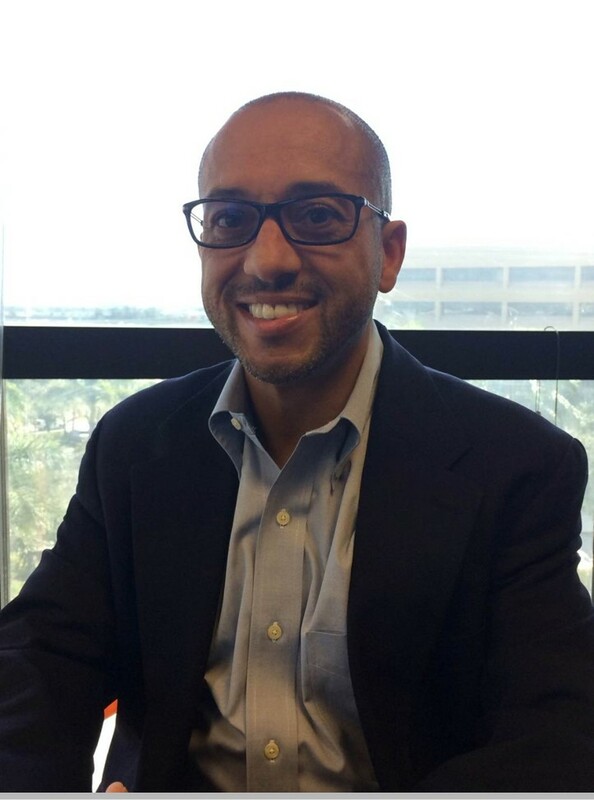 Mr. Manuel E. Fermin serves as the Chief Executive Officer for the Healthy Start Coalition of Miami-Dade which is the lead organization in Miami-Dade County for providing services in Maternal, Infant and Child Health and has been with the Coalition since April 2001. Mr. Fermin is responsible for the complete direction of the Healthy Start system of care in Miami-Dade County and is responsible for representing the organization in the community. Mr. Fermin oversees the entire operations of the Coalition and provides direction and support. Prior to joining the team, Mr. Fermin worked in various other organizations where he obtained management experience before becoming the Chief Executive Officer for the Coalition. Mr. Fermin brings over 2 decades worth of experience in Social Services and other areas. Mr. Manuel E. Fermin received a Bachelor of Arts degree in Liberal Arts & Sciences, majoring in Sociology from the University of Florida. He obtained a Masters in Public Administration from Florida International University. He has served on numerous panels, advisory committees and governing boards as well as being a guest presenter or lecturer at functions, academic institutions and conferences. Mr. Fermin is married and the proud father of four children. Jeannette Torres, Director has been with the Healthy Start Coalition since 2009. Jinny, as she is affectionately known, has served the community for more than 10 years helping parents reach their maximum potential and increase their family’s quality of life. Prior to joining the team, Mrs. Torres was the Education Director at the United Way Center for Excellence in Early Education, supporting educators, childcare professionals and parents committed to the highest standards of early education. Mrs. Torres earned her Bachelor of Science degree in Psychology from Florida International University and two years later earned a Master of Science degree in Mental Health Counseling from Nova Southeastern University, graduating with honors from both institutions. As a mother of two precious children, Jinny recognizes the importance and the impact mothers have in the life of their children; understanding that keeps her motivated not only in her personal life but professionally as well. Ms. Yarisleivy Silva serves as a Program Assistant at the Coalition and has been with the team since September 2013. 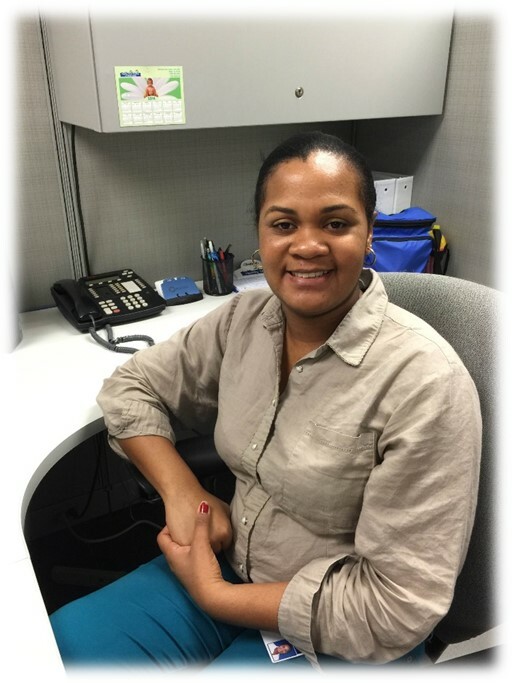 Ms. Silva is responsible to preparing Materials Distribution Forms for providers and other programs, maintain and keep accurate inventory of all items received by the Coalition and provide overall support and assistance to all departments within the Coalition. Ms. Silva holds a Bachelor’s Degree in Law, a Certificate in Accounting Operations, a Certificate in Medical Terminology, and a Certificate in Human Resources Management. In addition, Ms. Silva has continued her professional growth in maternal and child health by recently becoming a Certified Child Passenger Safety Technician (CPST). Ms. Beatriz Hernandez serves as the Receptionist at the Coalition and has been with the team since November 2007. Ms.Hernandez is responsible for managing our reception area and ensuring out clients, customers and community partners are connected to the Team. In addition, Ms. Hernandez assist with the day-to-day administrative support such as mailings, filling and compiling information for reports to Management and Senior Management. Welcome to the Healthy Start Coalition of Miami-Dade! 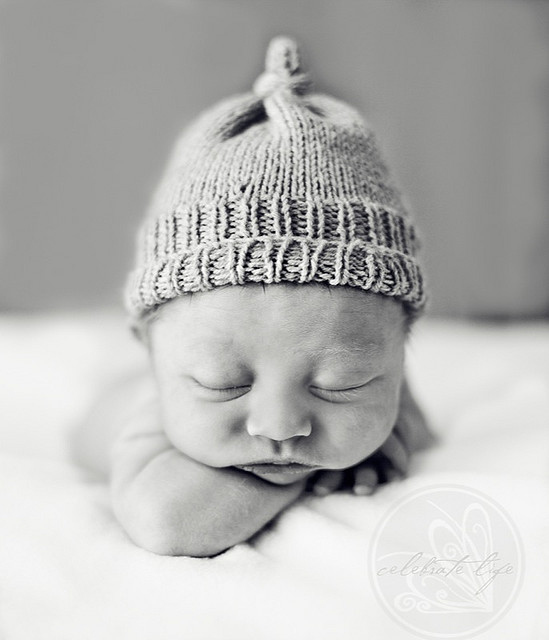 Our website is designed to provide a comprehensive and in-depth review of our organization, reflecting the pride we, at the Coalition, have in our commitment in ensuring that every baby gets a Healthy Start in life. It conveys our sense of mission and vision – to ensuring we are the leaders in maternal, infant and child health. The Coalition’s culture is characterized by its ability to adapt quickly to our customer needs and changing health care landscape. From the Company’s start in 1992 to the present, our tradition of providing optimal customer service to the community partners we work with has driven continuous improvement in the way we operate and provide services. Every day, our services touch the lives of thousands of pregnant women and infants in Miami-Dade. Through our website, you will discover our commitment to the maternal, infant and child health community in which we provide oversight on behalf of the State of Florida’s Department of Health and the Agency for Health Care Administration. Our objectives are to: provide assistance to the various community partners who provide direct healthy start services to clients; our commitment in facilitating financial and programmatic oversight; and assessing the needs of the community to better serve future clients in need. These are exciting times for the Coalition and I think that through our website and the work we do in the community you will get a sense of our expertise, passion, reliability, and innovative nature as you see our vision and commitment so that every child in our community can have a Healthy Start in life. As a nonprofit organization, the Healthy Start Coalition of Miami-Dade relies on support from government funding and local sponsors and donors. With the help of our supporters we have been able to ensure that happier, healthier babies are born within our community. The Healthy Start Coalition of Miami-Dade was incorporated on April 1, 2001 and serves as part of a statewide network of community-based organizations to reduce Florida’s high infant mortality and improve the lives of pregnant women and their families. Please note that from 1992-2001, there was a previous Coalition under different leadership in which oversaw the Healthy Start system of care. The Coalition is responsible for the establishment and oversight of the Miami-Dade Healthy Start system, which includes directing local, state and federal funding and provides oversight to local community organizations that deliver direct services to pregnant women and families of newborns, continuous care coordination to pregnant women and children birth to age three, evaluating services and the needs of the community, and quality assurance and improvement responsibilities. The organization is governed by a volunteer Board of Directors and is responsible for Miami-Dade County. Also, the coalition is a member of the Florida Association of Healthy Start Coalition’s, which affords the ability to work alongside a statewide group of Coalitions geared in achieving the Healthy Start program’s overall goals. The Coalition is comprised of more than 150 members representing consumers, physicians, local government, business, social services, education, civic organizations, public health, nurses, local medical societies, mental health, hospitals, local health planning agencies and midwifery throughout the county and the surrounding areas. Standing committees of various areas of interest (i.e. Best Practice, Data, FIMR, Board of Directors, etc.) conduct the organization’s activities. One of 32 community-based maternal and child health groups in the state, the Coalition is supported by the Florida Department of Health, Agency for Health Care Administration via the Healthy Start MomCare Network and the generosity of the community via donations, grants and other funding sources. Overall, on an annual basis the Coalition is responsible for the administration of approximately 10 million dollars. More than 90 percent of this funding is used to provide direct services to at-risk pregnant women, infants and families through contracts with community providers, MomCare, the Fetal & Infant Mortality Review (FIMR) Project, the Jasmine Project, a federal Healthy Start initiative to reduce disparities in birth outcomes, Nurse Family Partnership and the Health Connect in the Early Years Program. In addition, we have a collaborative working relationship with Healthy Families, which is locally administered by Children’s Home Society. Remaining resources support planning, administration and community-based initiatives. HSCMD’s mission is to ensure that all children in Miami-Dade County gets a Healthy Start in Life. With too many babies dying from preventable causes due to various factors such as lack of adequate prenatal care, socio-economic conditions and other racial, social and economic reasons, the Healthy Start Coalition of Miami-Dade is the leading maternal infant and child health coalition leading the way in helping reduce these preventable deaths. In conjunction through the cooperation of elected officials, non-profit and profit organizations, local, state and federal government, local churches, business leaders and members of the community, infant mortality, racial and social disparities are substantially reduced by programs that address and support the entire family.